The one thing that is constant is change, even in fashion. In fact, fashion trends always change from season to season—so what may be trendy for summer will inevitably go out of style come autumn. Smart fashionistas know that, while this is true, there are certain types of clothing and accessories that never go out of style. Timeless fashion trends tend to be classic, and they withstand the test of time because they fit everyone—regardless of body type, age, or skin tone. Additionally, they are time savers too because you no longer have to think about styling them because they look great on their own no matter what. If you’re here looking to save money by investing in worthwhile fashion pieces or if you want to look for something that works every time, you’ve come to the right place. Here are five fashion trends that never go out of style. Every man or woman should have a classic white button-down shirt or two in their closet. They are a fashion staple because they can be used as a foundation for various wardrobes, and their versatility is endless. They can be paired with dress pants, jeans, leggings, skirts, and even khaki shorts. Simply put, they are a clothing piece that can transform your ensemble into anything with the right bottoms, accessories, and shoes. Additionally, these shirts can be bought anywhere. Everyone wants to opt for a generic coat, but smart buyers know that leather jackets are where it’s at. It is the perfect form of outerwear for men and women and can go with almost anything. High-quality leather jackets offer style, protection, and comfort, so you never go wrong with wearing it no matter where you go. Buying leather jackets is a smart investment. You should know that you are expected to pay a lot for those made with genuine leather because they last long and offer a high level of utility. They can be worn for years and years, and you won’t see signs of fray, ripping, tearing, or unraveling just as long as you keep them in good condition, of course. Your vintage tote bags, belts, and other leather products will also outlast any wear if you take care of them in a similar manner. Since its inception, the leather fabric only became more and more popular, and it’s here to stay. It is a useful material that won’t be going off the radar anytime soon. If you’re looking for high-quality leather wallets, head on over to GGG for a great selection. Everyone needs a good pair of denim jeans no matter if you are into skirts, dress pants, shorts, loungewear, or even suits. Whether you like it or not, it goes with anything. Additionally, jeans are always a perfect backup for when you run out of clothes to wear, and they’re long-lasting, so they don’t need to be washed after every use. This is not to say that they shouldn’t be laundered ever; it means that they can go for several days to a few weeks of being worn and you won’t have any problems. It is a timeless fashion trend because it looks good on anyone. When shopping for a pair of jeans, make sure to get proper-fitting ones and that they have the right amount of stretch. If you’re unsure which type of denim to get, dark denim is always a safe and good choice. Since their inception, white sneakers only became more and more popular. They’re versatile footwear, and they’re here to stay. Why? They go with almost any outfit and can be used every day, from commuting in the city, going to work, meeting up for dinner, running errands, having drinks with friends, and more. 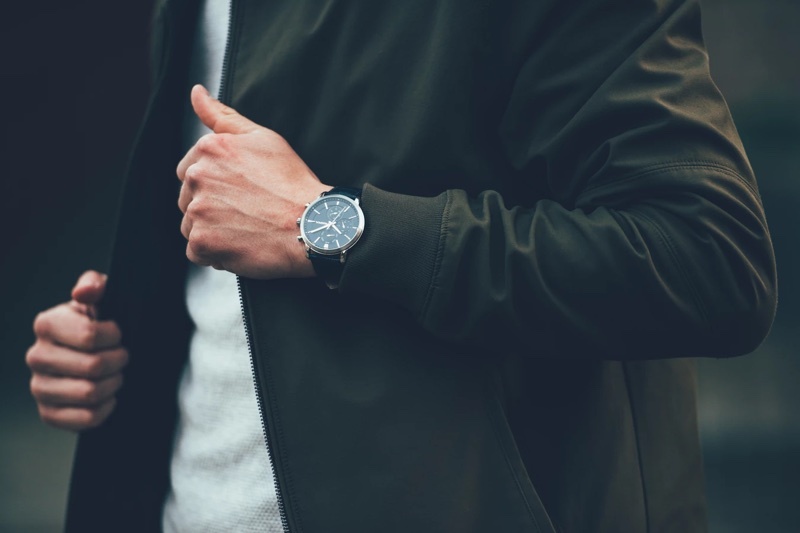 While a watch is an item mostly known for being a staple in men’s style, women should also invest in high-quality timepieces. It is a myth that watches have become irrelevant in the twenty-first century with smartphones and gadgets dominating people’s lives. As a functional accessory, it adds class and elegance to any outfit. As it so happens that some of the clothes in your closet are no longer the hottest things around or your preferences have changed, don’t be too quick to throw your outfits away. You can sell clothes online and make money while freeing up space in your closet, or you can repurpose your clothes into some other functional pieces you can use, like jeans turned into bags or old shirts patched into quilts. Not everyone has an impeccable fashion sense, so it is not at all bad to get advice from those who know what they are doing. The items mentioned here are just some of the most basic clothing pieces that everyone should have. It is best to spend some time to learn about fashion so that you can confidently buy clothes that you know will look good in and cultivate good fashion sense. Timeless outfits and trends are capable of letting the wearer look in style and sharp no matter the time or season.